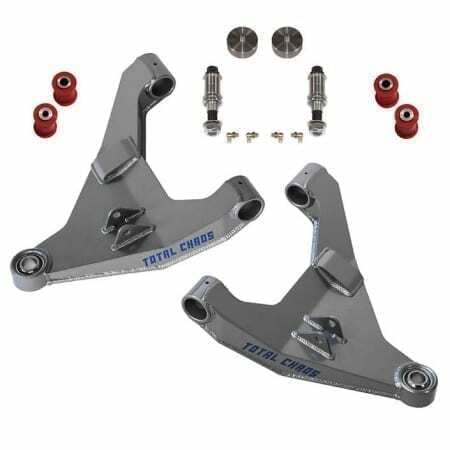 UCA’s are designed with added caster to aid in retaining factory alignment specs when aftermarket lift kits are installed. 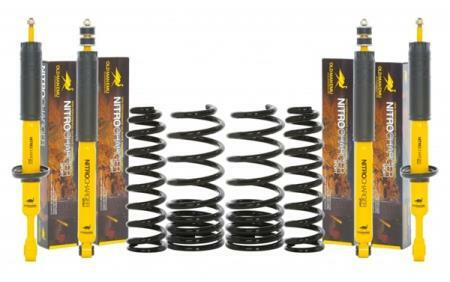 This reduces the darting or wandering in the vehicle’s steering when 2.5″-3″ lift kits are installed. 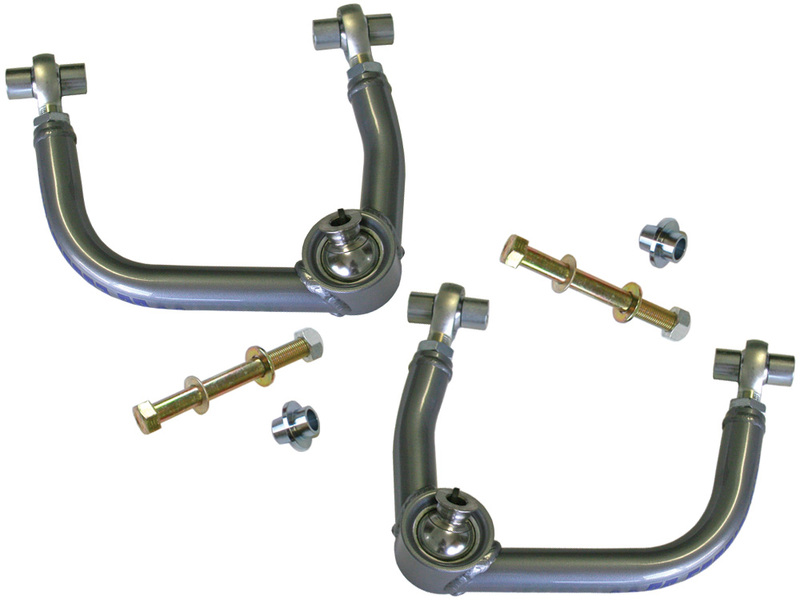 CNC machined tapered spindle adapters convert the factory ball joint to a 1″ uniball for added component strength & maximum wheel travel. 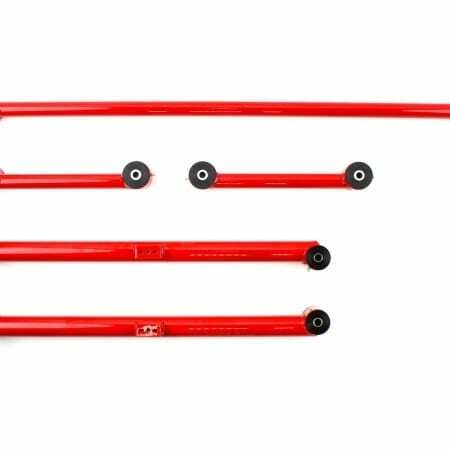 Upper control arms combined with extended length coil over shocks will allow for up to 1″ of additional wheel travel. 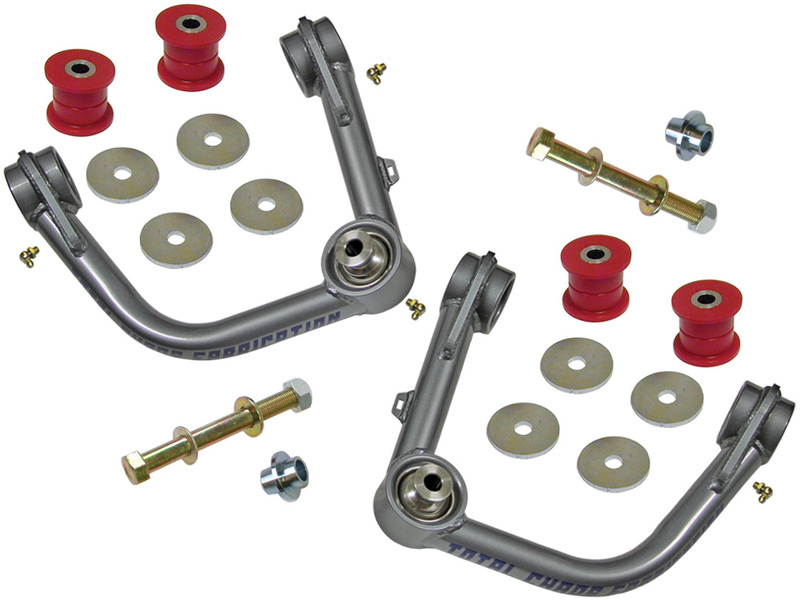 TC includes 3/4″ chromoly heim joints for the pivots. 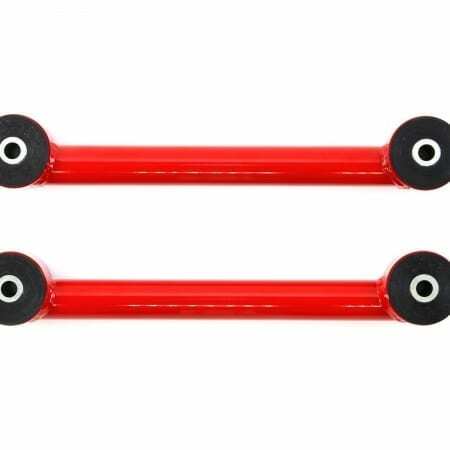 Designed for use on 6″ or higher drop bracket lift kits.